Theres not much to say about travelling home day, but we have breakfast and are off the ship by 8.00am. 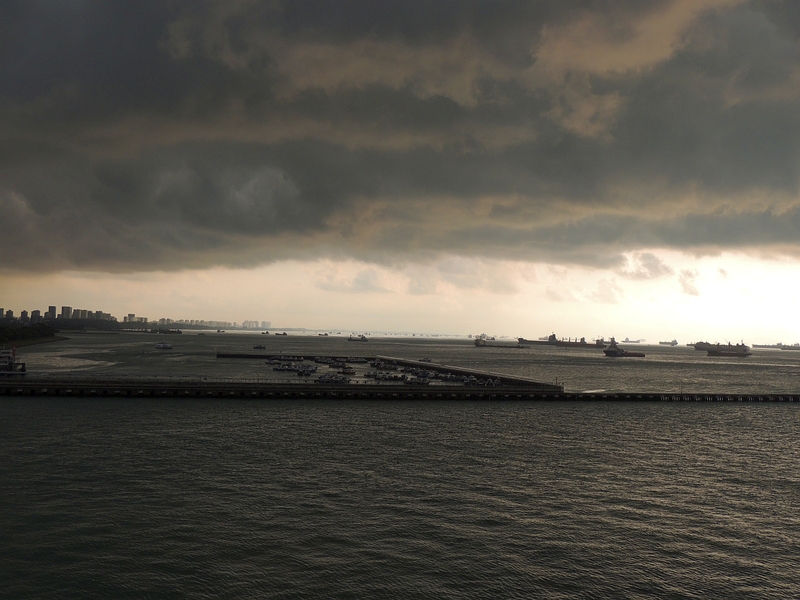 Its a shame we dont have more time in Singapore as it looks amazing from our balcony before we disembark, especially because a storm rolls through and the light is really strange. Celebrity try to get you to buy their coach transfer to the airport for $58 US per person by telling you that there may be long queues for taxis. We ignore this and walk straight out the terminal and into a waiting taxi that drives us to the airport for $50 US total. 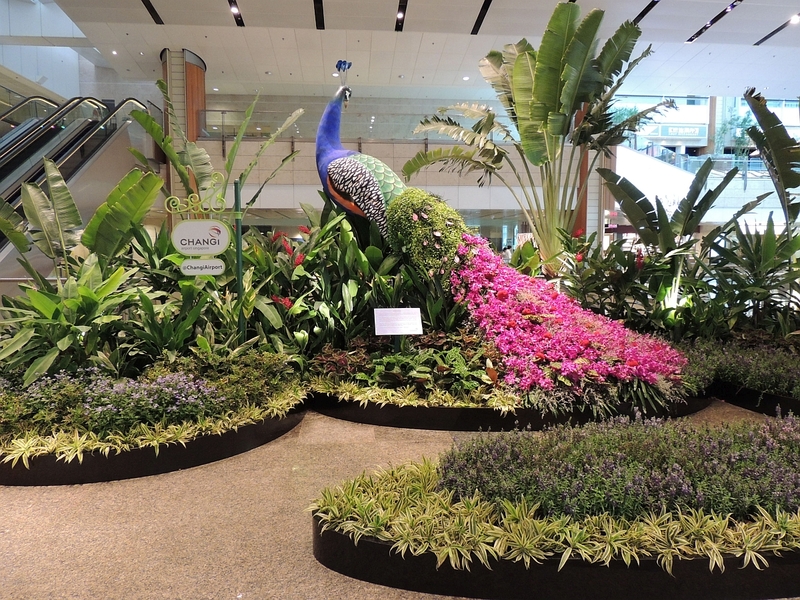 Changi airport has now replaced Orlando International as my favourite airport. 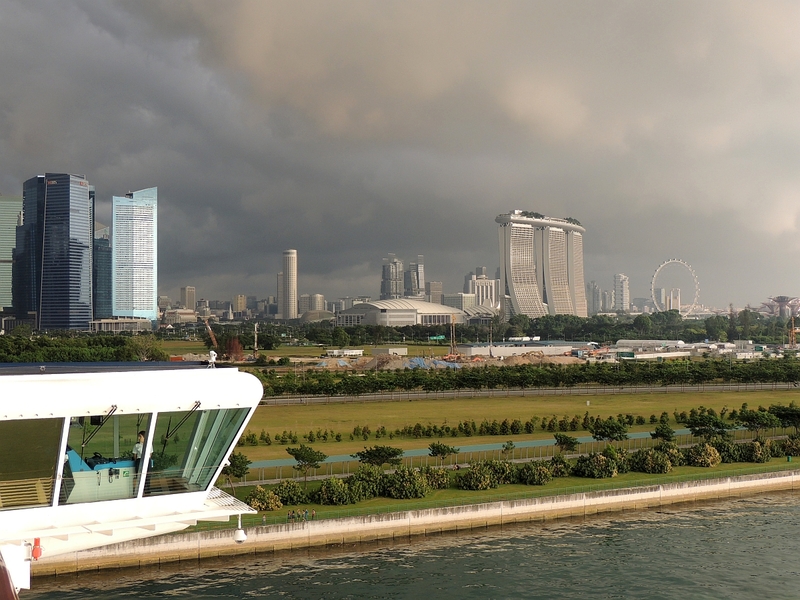 Its amazingly spacious and we are checked in within minutes. We walk across to terminal 2 to look around and then get the Skytrain to terminal 1 just to pass the time as we have 4 hours left before our flight. 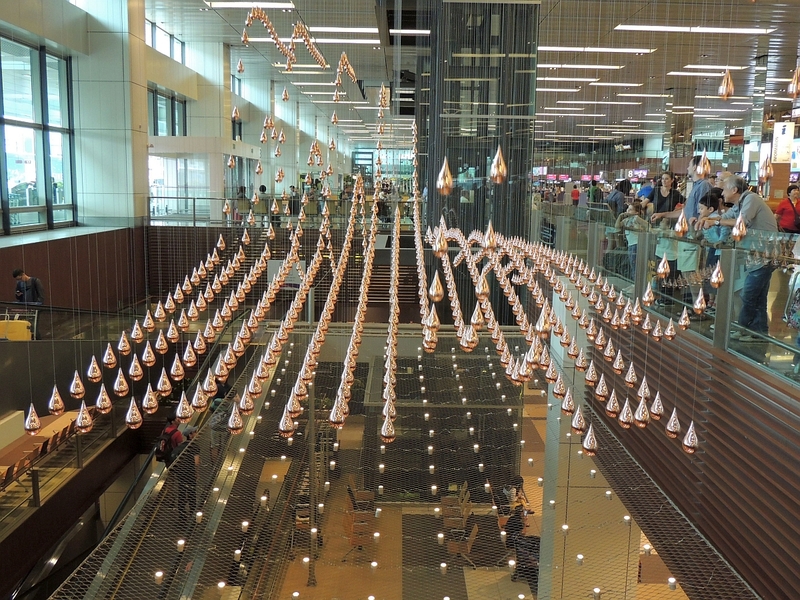 In terminal 1 we come across an amazing moving sculpture called Kinetic Rain. 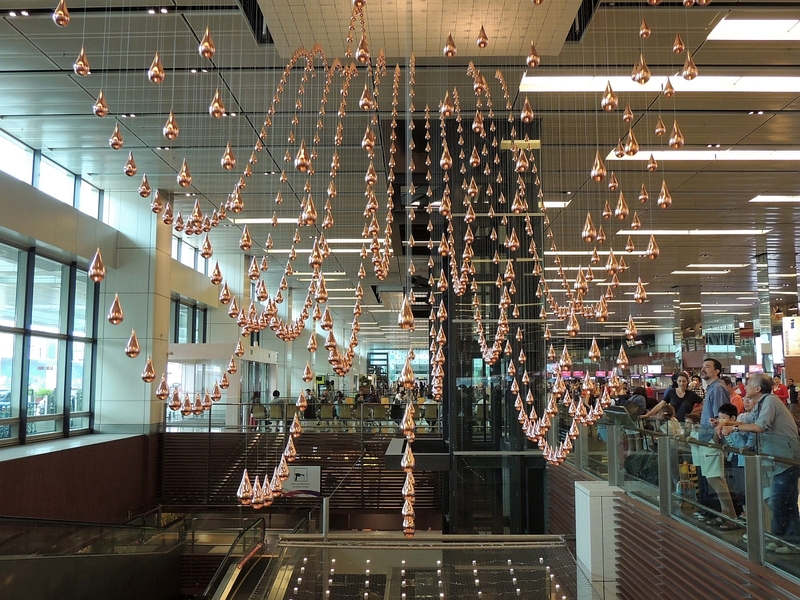 Its made up of over 1,200 bronze droplets about the size of your hand hanging on thin wires. Each must be attached to a motor, which can move them up and down and various speeds. When moving together they form the most amazing changing patterns. There is a fluidity in the wave like movements that is both mesmerising and beautiful. You really could watch this thing for ages. Back to terminal 3 and we head to our gate and are soon departing for home. Theres not much to say about our flight home other than that it seems very long, but infinitely better than if we had flown back from Sydney I suppose. So another holiday ends. 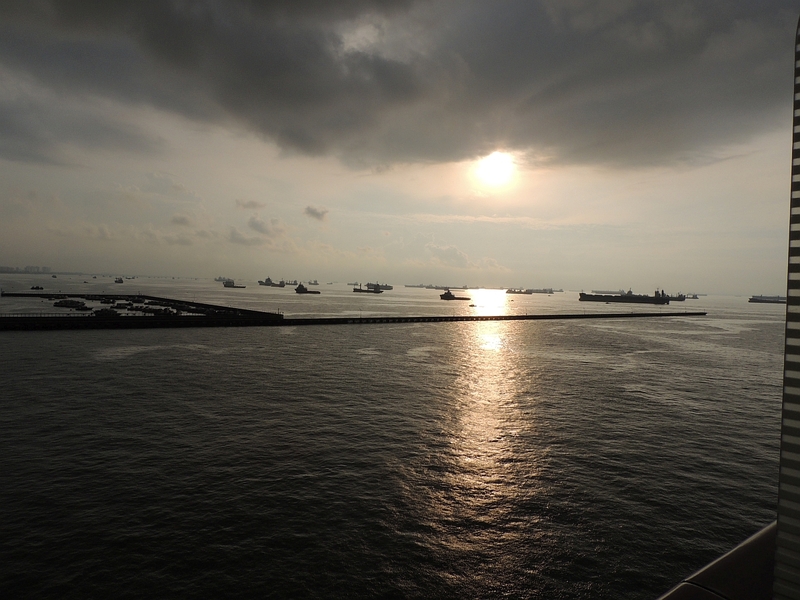 Its certainly been a long one and weve seen some wonderful sights throughout our 3 weeks away. I enjoyed Australia very much and will almost certainly return at some point, but probably not quickly as its just so far to travel. The best way to get over post-holiday blues is to book another and start planning, so thats just what weve done, but thats another story.